Menopause is something that all women experience at some point in their lives. With the menopause occurring most commonly in women between the ages of 45-55, it is important to put measures into place before the symptoms start to take effect. This can help to make the menopause a little easier to navigate and potentially ease the more uncomfortable symptoms. Keeping a healthy and well balanced diet is important to overall health at any age, but it can be essential when your body is going through such a huge change like the menopause. Our advanced range of menopause supplements, Menopace, has been developed by experts to provide effective nutritional support for those going through ‘the change’. Our Menopace range includes vitamin B6, which helps to maintain normal hormonal activity, and many more that are essential during this period of change. However, there are also a few key foods you could include into your diet, to further support your body through the Menopause. Make sure to get keep calcium in mind when planning your meals. Dairy products such as milk, cheese and yoghurt (or fortified plant-based variants) should make up a portion of your plate each day. 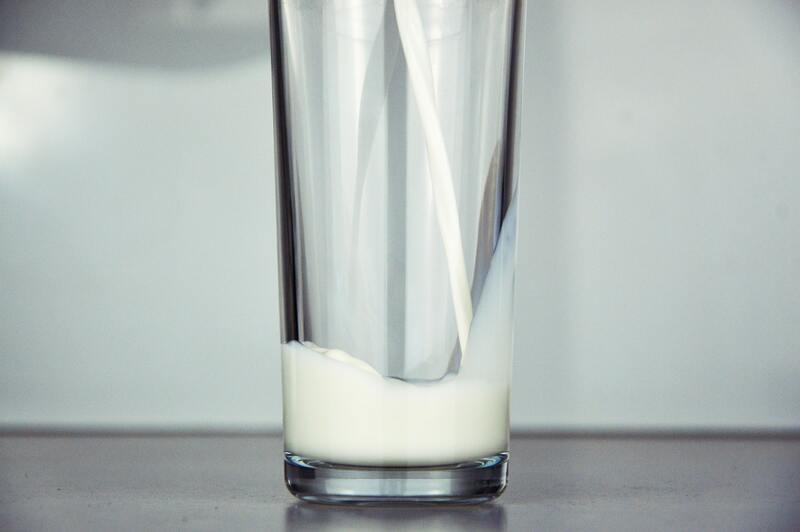 As we age, and particularly during and after the menopause, bone density can suffer as a result of the body’s decreased oestrogen production, so it’s especially important that calcium intake is safeguarded during this time. Menopace Calcium is specially formulated to provide support for women during the menopause, with 700mg calcium, plus magnesium, zinc and vitamin D, which all contribute to the maintenance of normal bones. Top Tip: Try out different sources of calcium, from almond milk to tofu. There’s so many different options available, especially if you follow a vegan or dairy free diet. Iron contributes to normal cognitive function, the normal function of the immune system and the reduction of tiredness and fatigue. This makes it extremely important for your body whilst it’s going through menopause. By keeping your iron levels topped up, you may be able to fight off fatigue more efficiently and help you to have the energy to keep active during ‘the change’. If you’re following a vegetarian diet, we understand just how difficult it can be to ensure you’re getting enough iron from meat-free sources. Our guide ‘Foods High in Iron for Vegetarians’ lists some vegetarian friendly foods that are seriously high in iron. Top Tip: Try and introduce more dark leafy greens, red meat or beans to your diet to give you this extra nutritional kick. Whilst red meat is a great source of iron, remember to enjoy it in moderation and in conjunction with other sources of iron in your diet. Menopause and weight gain can go hand in hand. To help manage your weight during this time, try to fill up on fiber filled foods. Make sure to have a large portion of fruit and veg, as well as beans and wholegrain carbs. Fiber can help to keep you fuller for longer, so there’s less chance of you over eating. If you’re finding yourself feeling more hungry between meals, then our healthy snacking guide has some quick and easy ideas for snacks and treats that’ll keep you fuller for longer. Staying hydrated and drinking the recommended amount of water every day is essential for everyday health. 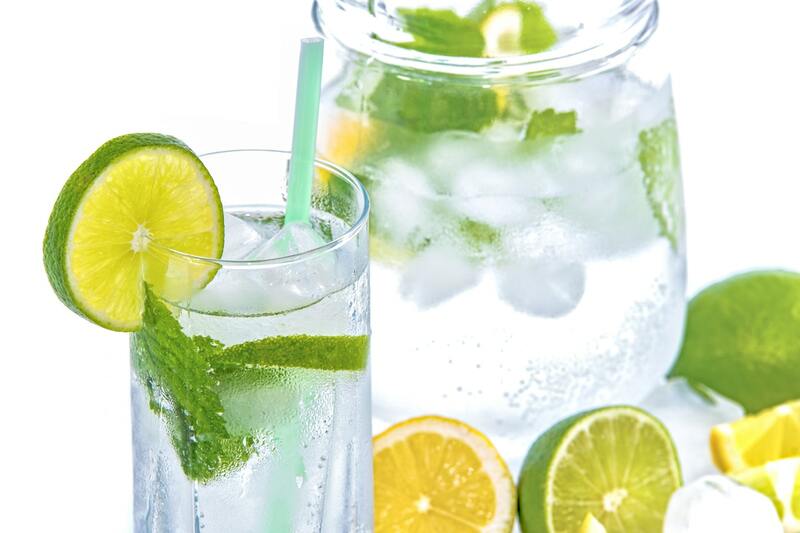 Making sure you are keeping your body well hydrated during menopause can help give you the energy to battle the toughest symptoms. Try drinking a pint of water as soon as you get out of bed, or a glass with every meal. You can even introduce more water dense fruit and vegetables to your diet, to sneak in an extra fluids without even realising it. 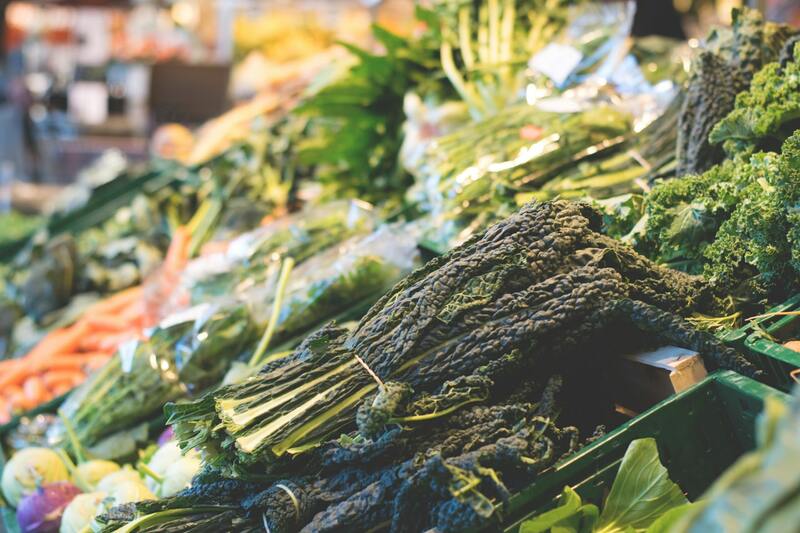 By making sure to implement a balanced diet early on, you’ll not only give yourself a better chance of dealing with the more intense menopause symptoms, but you’ll also help to improve your overall health. 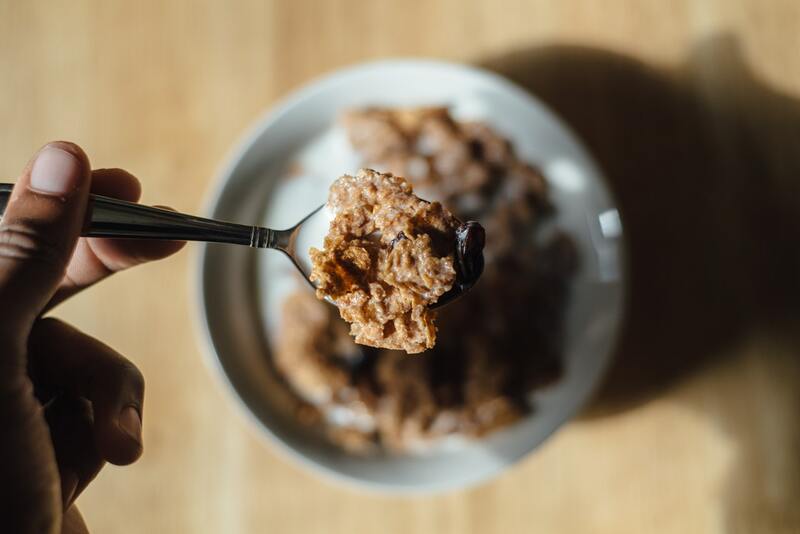 Keeping to a healthy diet can be difficult, especially when we are faced with temptation at every turn, whether that’s the office biscuits or a takeaway at the weekend. However, the earlier you transition to a healthy diet, the easier it will be further down the line.